This year, we picked A LOT of apples. I mean a serious amount. I think the total was around 150 pounds or something insane like that. Generally we pick between 80-90 pounds, but I was slightly more enthusiastic this year. Most of the apples have been turned into applesauce that have taken up all the space in the pantry, and a few have been turned into apple maple jam and apple jelly. As well as an apple pie and this crisp. There is just one half bag left that I am not sure what to do with, besides eat. Maybe some dried apple rings? I don't know yet. Something will come to me! 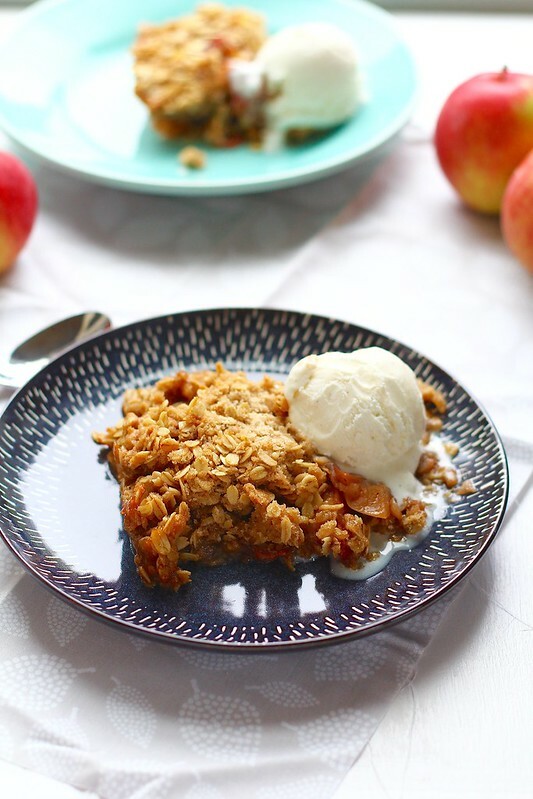 One thing my husband requested for to me make, was an apple crisp. 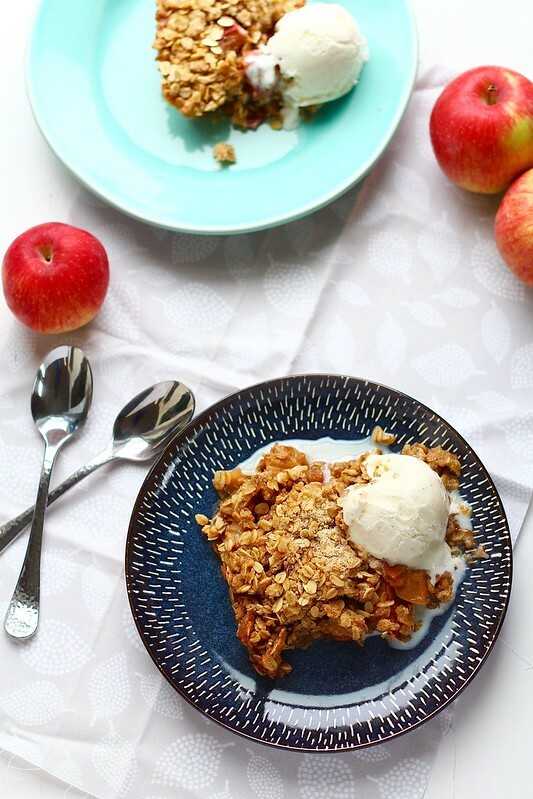 To be honest, I am not sure I have actually made a plain apple crisp before. I have made my favorite crumbly apple pie, and many apple pies, but not an apple crisp. Which is kind of weird, considering I made a lot of desserts. 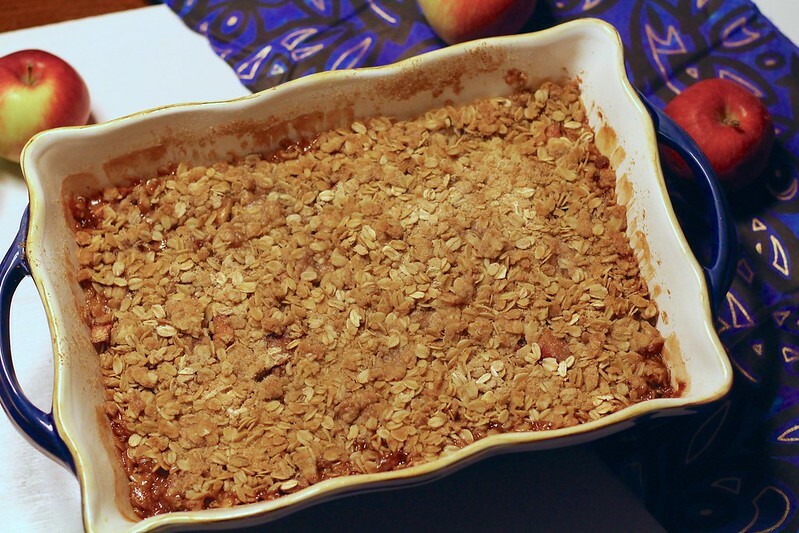 When I did some research online, I couldn't seem to find an apple crisp recipe that I liked. Most called for apple cider, which I generally don't have on hand. Plus, I didn't want to take the time boiling down the liquids and whatever else those recipes called for. So, I decided to make something up myself. Well, my creation was a huge success. Now, that doesn't always happen, at all! But, this was so darn good. Something that I will be adding to my annual fall cooking. Everyone absolutely loved it. The spices were spot on, the apples cooked in their own juices, so it wasn't too watery. And the topping was just the right combination of butter, sugar and oats. 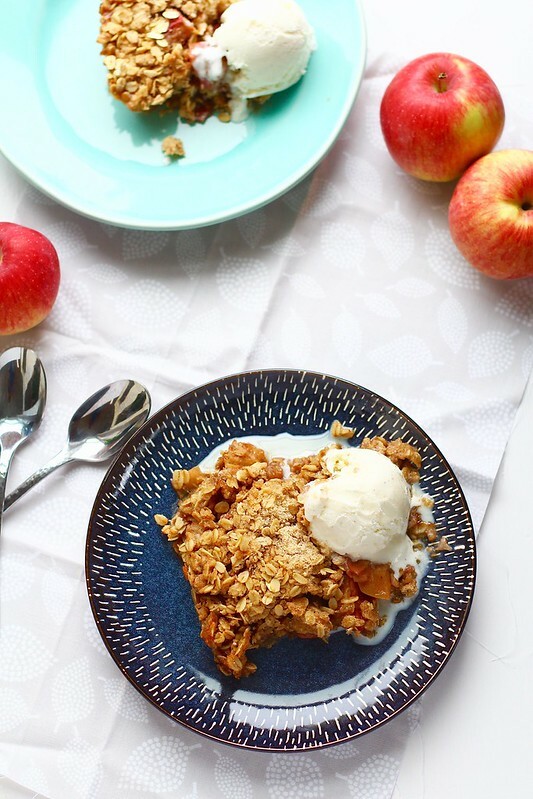 You need to make this while apples are still in season! Served with a scoop of vanilla ice cream, and you have the perfect fall dessert. To make the filling, mix together all the ingredients until all the apples are coated. Pour into the prepared baking dish, leveling with the back of a spoon. Sprinkle the chilled topping evenly over the apples, making sure to cover completely. Place in the preheated oven and bake for 45-50 minutes, or until the filling is bubbly and the topping is golden brown. Let cool slightly before serving. Scoop into shallow bowls and serve with vanilla ice cream, if desired.